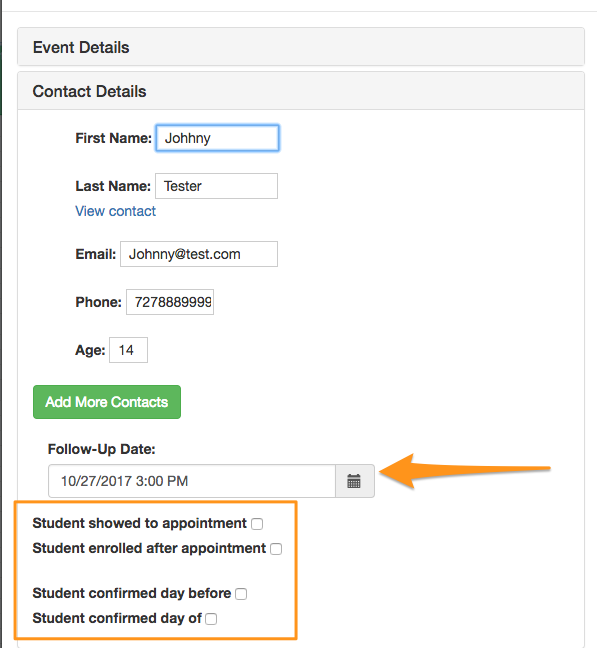 This is an article that will show you how to add, edit, and delete an appointment on the Appointment Book. If you would like to watch a video on this, go to the bottom of the page. From your homepage you will select the Appointment Book on the left hand side of the screen. 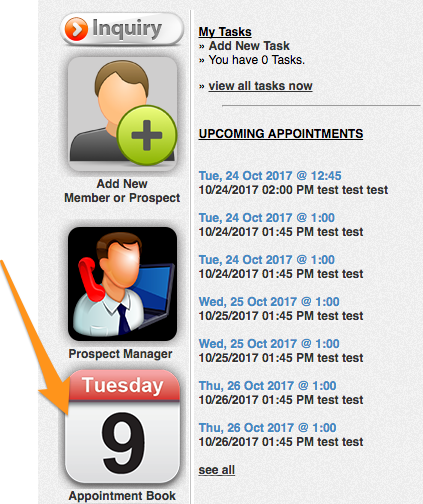 Once you are viewing the Appointment Book you will want to click and drag on the appointment date and time you are wanting to schedule. 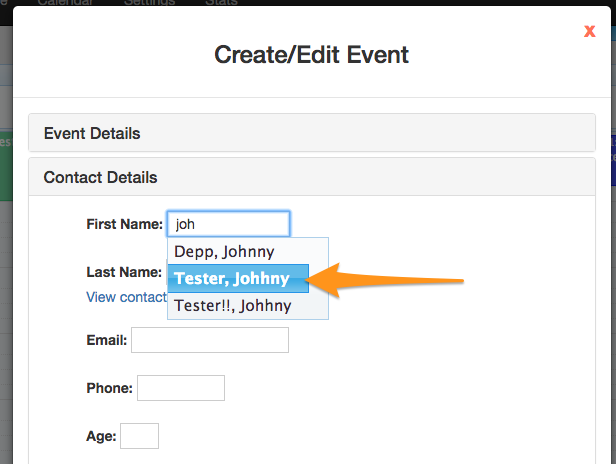 This will bring up the appointment details for you to customize and edit to your appointment. The Event Details can all be edited as needed. Title: Can be whatever you need it to say. Example: Birthday Bash, Follow-Up Appt, Technique Training, etc. 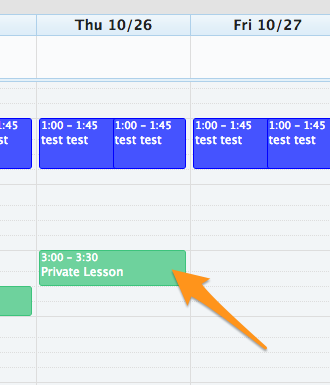 *For the Staff Member Assigned and Scheduled By, you can make this different instructors. After you have finished filling in the Event Details, you will select Contact Details so you can enter in the student's information. 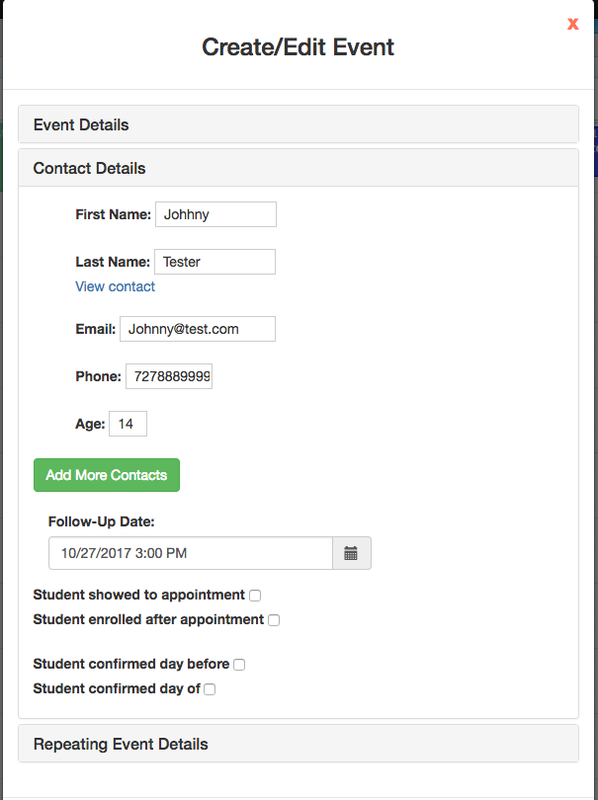 You can start typing the First Name of the student and have their information pop up to choose the correct student information. 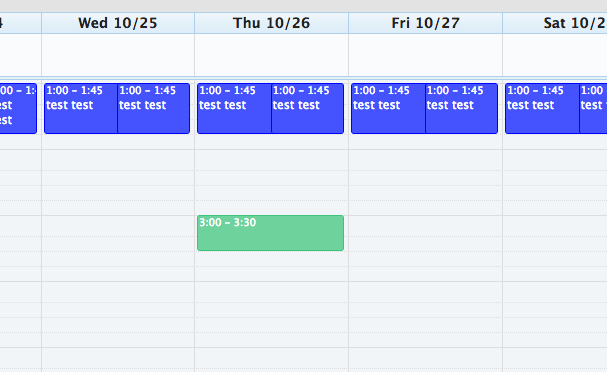 You then have the option to create a Follow-Up Appointment and mark them as confirmed and if they showed/enrolled. 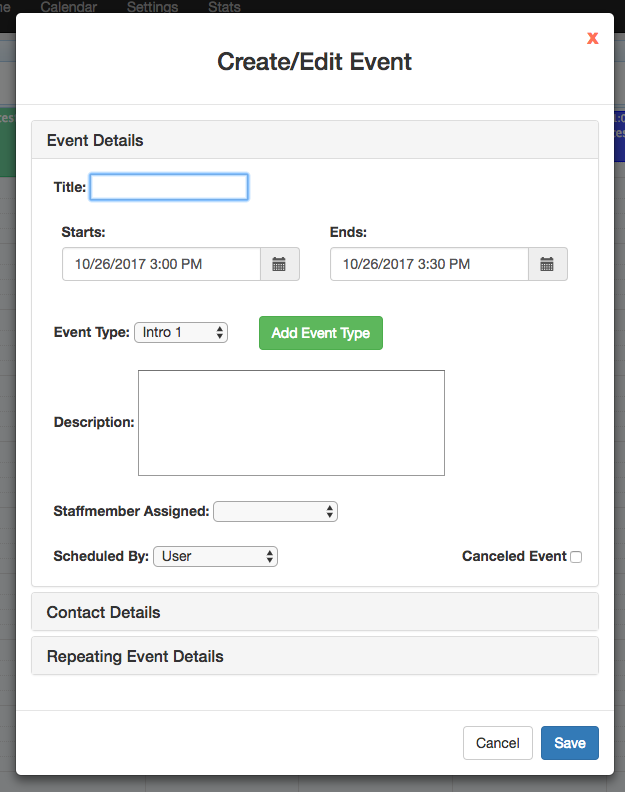 Once all of that information has been added, you can move to Repeating Event Details or Save at the bottom of the screen to place the appointment on the Appointment Book. Once you have Saved the appointment onto the Appointment Book you will see the duration of the appointment and the Title you labeled the appointment. 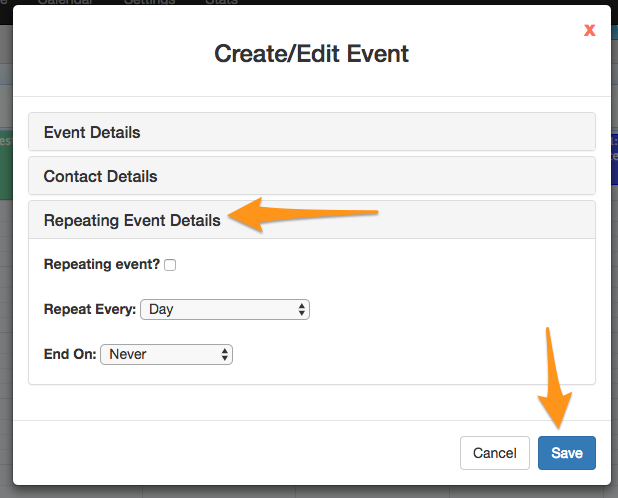 The video below will show you how to add/edit/delete an appointment on the Appointment Book.